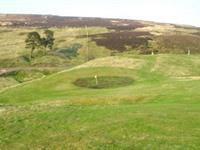 Leadhills, the next village under 2 miles from Belton House, is the setting for Scotland’s highest golf course. This 9 hole course offers the keen golfer a challenging game in unique and stunning surroundings. Biggar, around 25 minutes drive away, also has a very scenic 18 hole course. 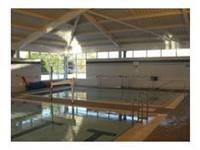 Set in parkland this course is suitable for all abilities to enjoy. The reputed ‘home’ of golf in South Ayrshire is also only over an hours’ drive from Wanlockhead – here the famous courses of Royal Troon, Old Prestwick and Turnberry can all be enjoyed. 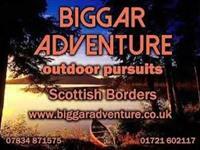 Biggar Adventure offer a range of activities including; archery, canoeing, mountain biking, guided walks and team building exercises. 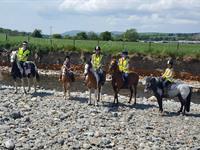 Only 6 miles away is the River Nith, at the village of Mennock (Upper Nithsdale Beat). 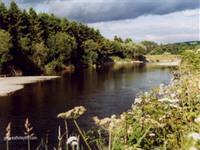 The Nith is argued to be one of the most productive of the southwest Scotland rivers for salmon and trout fishing and offers excellent sport for anglers of all abilities. The Nith offers around 45 miles of a variety of fishing experiences with the added benefit of the stunning varied landscape and scenery. 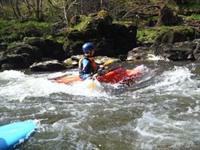 The River Nith, 6 miles away at the village of Mennock (on the A76), also offers the opportunity for kayak/canoe enthusiasts to enjoy their sport. The river is 45 miles long and offers varied paddling terrain. About 20 minutes drive from Wanlockhead is the village of Thornhill which has a ceramic cafe where you can make pottery. Visit Website, only 8 Miles away. The village is surrounded by the Lowther Hills so, if your weather permits!, you can pick any hill on your doorstep and take a walk. The village of Wanlockhead sits directly on the Southern Upland Way and conveniently is around halfway along the track.